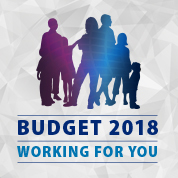 VICTORIA — Budget 2018 carves a new path to shared prosperity for everyone in our province with a made-in-BC child care plan, a comprehensive housing plan and record levels of capital investment in every corner of our province, Finance Minister Carole James announced today. Minister Carole James answering questions from members of the media at the budget lockup, February 20th, 2018. Minister Carole James talks to the news media and stakeholders at the budget lockup, February 20, 2018. 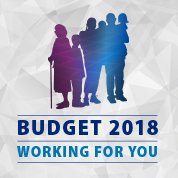 Reader-friendly, plain-language overview of Budget 2018. Caring for kids, lifting up families. A 30-point plan for housing affordability in British Columbia. 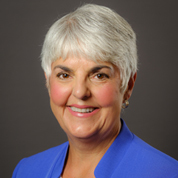 Webcast of Minister Carole James' Budget Speech to the Legislative Assembly. 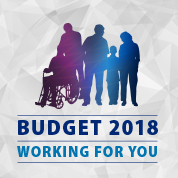 Budget News Release ( February 20, 2018 ): the budget overview distributed to news media. 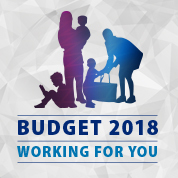 Budget Highlights: reader friendly, plain-language overview of the Budget 2018. Child Care B.C. : caring for kids, lifting up families. Homes for B.C. 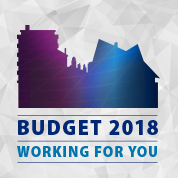 : a 30-point plan for housing affordability in British Columbia.